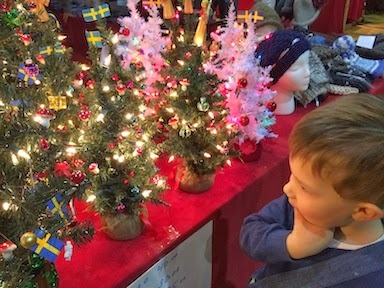 Today's exciting adventure was at the SWEA Christmas fair and Santa Lucia pageant! 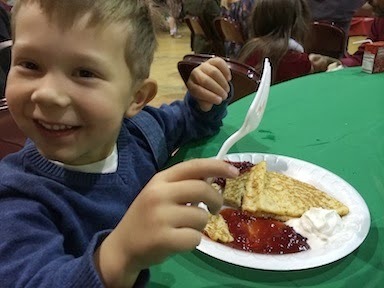 Starboy loved the Swedish pancakes for lunch. He also liked the challah-like buns. I didn't get any good pictures of the tomte, straw goats, dala horses and much, much more. But there sure was a lot to see! 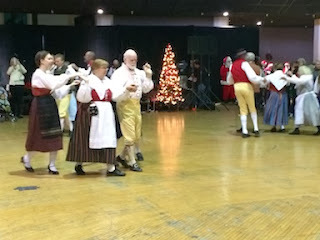 Folk dancing in period dress! 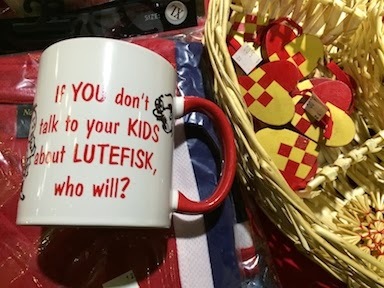 And many hilarious t-shirts and mugs. 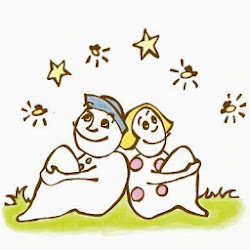 An Astrid Lindgren book would have been perfect today! But we read it yesterday. I swear, a better plan next year. 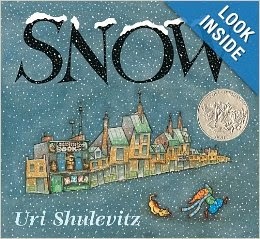 So today we read "Snow," by Uri Shulevitz.